Tata Motors' upcoming compact sedan, the Tigor, will be launched in India on March 29, 2017. And now the Indian car manufacturer has started taking bookings for the sedan across all the dealerships in the country for Rs 5,000. Built on the same platform as the Tata Tiago, the Tigor is based on the company's Impact design language and it is the third car to get it. While the front profile of the Tata Tigor is almost identical to the Tiago, it is the detailing that makes the sedan differ from the hatchback. The top-end variant features halogen projector lights with a smoked finish; however, the design has been left unchanged. 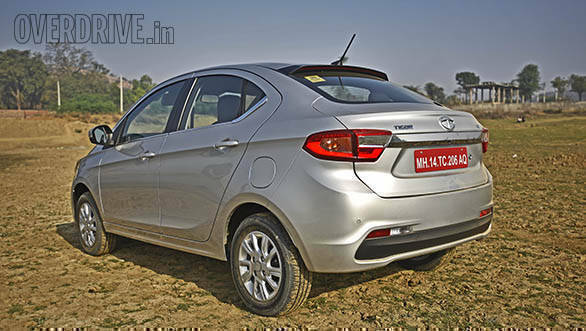 On the side, Tata Motors has managed to stretch the wheelbase by 50mm, making that greater than the Maruti Suzuki Dzire and the Honda Amaze. This, in turn, has improved the rear legroom. The sleek wrap-around tail lights and the flowing lines of the C-pillar are the highlight of the rear profile. In addition, there is a new copper brown colour and also larger 15-inch diamond-cut alloy wheels which give the additional appeal. 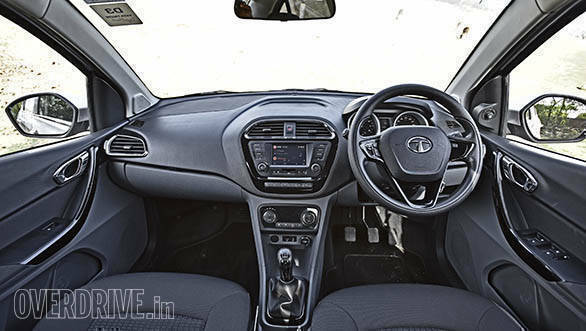 The cabin layout of the Tata Tigor is identical to the hatch; however, there are important additions in terms of features. The infotainment system is a touchscreen unit that also comes equipped with navigation. Users can also access other applications such as service reminders, owners manual and jukebox using the ConnectNext app. The only drawback for which is that all these applications are compatible for Android devices only. We did have a word with the infotainment team and were told that newer and more modern connectivity options are being worked on and will soon be introduced in upcoming offerings from the company. Most importantly, the Tigor also comes with automatic climate control. 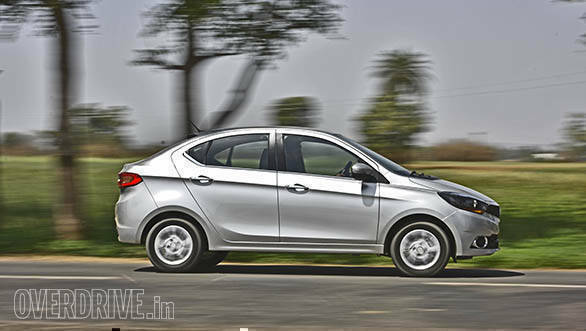 Under the hood, the Tigor makes use of 1.05-litre turbo-diesel and the 1.2-litre petrol motors. The 3-cylinder diesel motor puts out 70PS and 140Nm and is mated to a 5-speed manual transmission. The 3-cylinder petrol motor, on the other hand, puts out 85PS and 114Nm and is mated to a 5-speed manual gearbox. 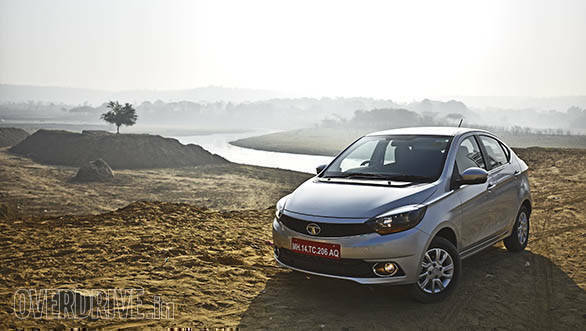 We have already sampled both these motors, read our Tata Tiago first drive report here. We expect the Tigor to be priced approximately Rs 30,000-50,000 over the corresponding trims of Tiago. And if priced right, the Tigor can be something to look out for in the sub-4m sedan segment.